Below you will be able to see all of the exciting things we have been doing this academic year. Please have a look at the page archive for our learning from 2017-2018. Class 3 have just got back from their residential to Bewerley Park. We took part in a variety of outdoor activities which encouraged team building and trying something new! We learnt about PIE- which stood for physical, instructions and encouragement when doing our activities to help each other to do our very best! We took part in: gorge walking, rock scrambling, climbing wall and zip wire challenges and rafting and canoeing. 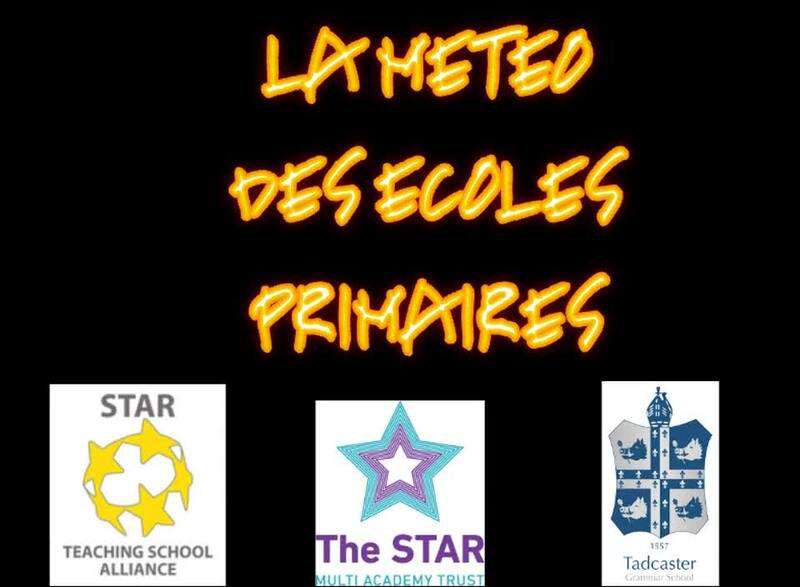 Our Year 6s had fun learning how to to read a weather report in French, learnt about clothing and practised their conversational French with other children from the area. Well done everyone. Many children from Year 6 won prizes as they were recognised by TGS staff for trying hard and being confident in their group. Below is a clip of our Year 6s in action reading a weather report. Thank you to Ms Pinder and all staff for a wonderful day and for making this video. We all had fun on Ancient Greek Day!! We all enjoyed Ancient Greek Day this week! We all made Ancient Greek pots, made Greek food, learnt an Ancient Greek dance and learnt how to write in Grecian. We also practised some Ancient Greek Olympic events. Well done everyone. You looked excellent in your costumes! On Friday we all had fun in the snow and built snowmen! We then enjoyed hot chocolate and biscuits to warm up! Well done to our football team who played in the Small School's League on Friday 7th December at home. You played your hardest in the muddiest of conditions! Great play everyone! Our Year 6s enjoyed an afternoon of activities at Tadcaster Grammar School to practise their conversation French. They took part in a variety of workshops focusing on giving their opinions in French on clothing, topics, French music and asking for and eating crepes! Cesca was presented with a certificate and some chocolate for excellent use of vocabulary when discussing clothing in a fashion show workshop. Well done to all of the Year 6s for being super French speakers! Great language skills! Thank you to Ms Pinder and the Modern Languages Department for inviting and helping us! Our Girls Football Team played at home against Barkston Ash. They all played fantastically well!! Well done everyone! The score was 3-1 to the away side. We competed in a Football Tournament on Thursday 11th October at Riverside Primary School. St. Joseph's A came joint fourth place and Tadcaster B came joint sixth. We are vey proud of our boys and girls who all put in maximum effort. Great matches! This term our topic is: Groovy Greeks - How was Ancient Greece different from modern day Greece. Welcome back to the second instalment of our Spring term. We hope you all had a relaxing half-term break. We are all looking forward to an exciting with fantastic events including the long-waited residential to Bewerley Park at the end of the month which the children are really looking forward to. We have a Year 6 French transition afternoon coming up. We welcome Miss Hennessy from Leeds Trinity University who will be joining us this term to teach and support the children. Click here to download this half term's Curriculum Letter. Click here to download this half term's Topic Web. Click here to download this half term's 'Wow work' homework letter.